By Andrea Diamond. Dec 7, 2015. 9:00 AM. In the Jewish faith tradition, Hanukkah is a beautiful remembrance of the miraculous supply of oil for the rededication of the Jewish Temple, and a victory over the Seleucid Empire. For eight days and nights, the Jewish people celebrate and reflect together with gifts, prayer, and the lighting of the menorah. In Hebrew, the word “Hanukkah” means “dedication.” Through the reflections and perspectives of Jewish authors and characters, we have the opportunity to gain a better understanding of what it truly means to be dedicated to one’s faith. Here are a few literary works that embody the spirit of Hanukkah. Since being published in 1947, The Diary of Anne Frank has been a source of hope in a world that was once filled with an almost insurmountable despair. Anne and her family are a beautiful example of what it means to be dedicated, which is shown through their devotion to God and faith. Unlike the Jewish Families often portrayed in more recent texts, the Franks were not able to share their celebration with the world. Their prayers were quiet, the gifts were small, and the menorah only illuminated the small, dark annex for a brief time. Despite the grim circumstances, the family was able to find peace and joy in their faith tradition. 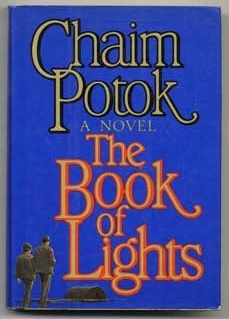 This novel was written by Chaim Potok, and was first published in 1972. This thought-provoking book follows the life of young Asher Lev, an Hasidic Jewish boy living in New York City with his family. Asher is very quiet, and finds he is best able to express himself through art. While art provides an outlet for Asher’s thoughts, feelings, and perceptions, his works often spark reprimand from his extremely conservative religious community. 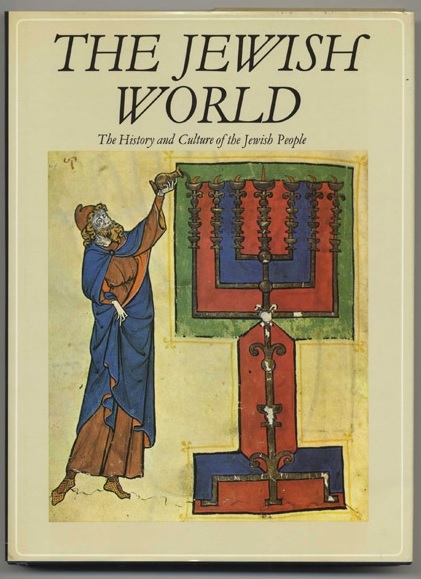 In addition to portraying the tensions that can exist in tightly knit conservative circles, Potok also masterfully presents scenes of tradition and celebration within the Jewish heritage. In this particular book, the conflicts of the family are temporarily unified when Asher paints a portrait of his family and presents it to them in celebration of Hanukkah. Also written by Potok, The Chosen highlights the conflicts that arise in a friendship between two young boys, one of which is Hasidic, and one of which is Modern Orthodox. Although the two come from a same faith foundation, their respective familial expectations and interpretations of religion lead to growing tensions within themselves, their friendship, and the society in which they live. In this sense, Hanukkah can serve both as a celebration of tradition with family, as well as an example of a larger belief system that can at times be challenging. This holiday season, bookshelves will be lined with all forms of literature that can open eyes to the beauty and depth of the traditions around us. Whether your family gathers around a hearth, a Christmas tree, or a Menorah in December, there is a light in this time of year that cannot be extinguished. A light that brings people together, warms our homes, and might even illuminate the pages of a good book.